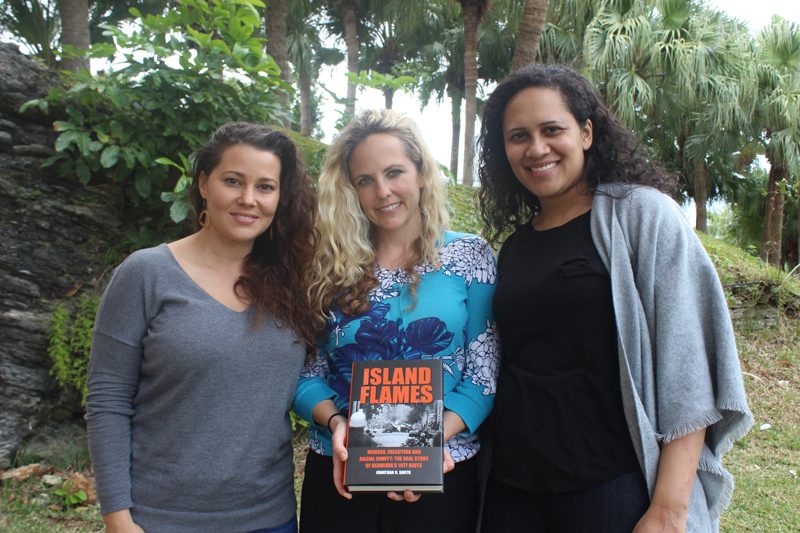 ‘Island Flames’ – the best-selling book about the 1977 riots — is set to be turned into a film thanks to a collaborative effort between director Lucinda Spurling, writer and actress Liana Hall and filmmaker, and photographer and former broadcast-news journalist Alia Hamza. The book, released to the public on October 21st 2015, sold out within 20 days. Now in its second printing, the book continues to be a best seller at local bookstores. A filmmaker collaborative, Afflare Films Ltd., consisting of the award-winning director Lucinda Spurling; writer and actress Liana Hall; and filmmaker, photographer and former broadcast-news journalist Alia Hamza have entered into a screenplay contract to write a full length film version of Island Flames. 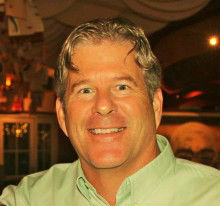 Island Flames Ltd. President, Jonathan D Smith [pictured above] said, “Island Flames, and the story about Bermuda that it tells, has the fundamental elements to become a successful international film. “It is essentially a triumph out of tragedy story, with moral issues, murder, social uprising, intrigue and elements of a political thriller,” added Mr Smith. The filmmaker collaborative brings together creative talent from several disciplines with experience of producing award winning films. Several of Lucinda Spurling’s films have gained international exposure and recognition, including her award winning documentary based on Jonathan Smith’s book, ‘In the Hour of Victory’ which won major awards at international film festivals in the USA and UK in 2013. “The film version of ‘Island Flames’ has significant potential for putting Bermuda on the map as a film production site and will realise considerable employment benefits and injection of foreign capital at the production stage,” a spokesperson said. “The philosophy behind Island Flames Ltd., Afflare Films Ltd, the filmmaker collaborative are wholly consistent with the Bermuda Tourism Authority’s [BTA] recent pronouncements on a local film industry. Mr. Smith added, “We have the opportunity to produce this dramatic Bermudian story on an international scale with overseas partners. The all-Bermudian team is working on the screenplay and I’m confident in the vision that the compelling story of Island Flames can find a place in the global film marketplace. Alia Hamza said, “What an incredible opportunity Bermuda has to tell its story to the world at large. 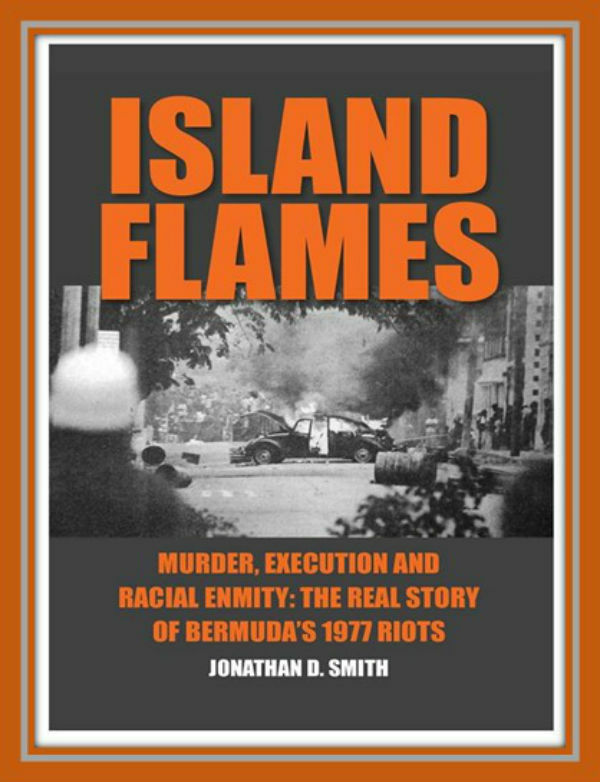 Gaining an understanding into the intricacies and influences of the period of history encompassed in Island Flames is, in my opinion, not only fundamental to understanding the Bermuda we now live in and thus ourselves, but also, to better understanding the dynamics of power and struggle. I feel grateful to be a part of such an incredibly important project”. Liana Hall said, “There is an increasingly vocal demand on the international scene for films of a diverse nature, specifically those that deal with issues facing minorities. Such subject matter allows for the involvement of actors and filmmakers who have historically been mostly excluded from these productions. The screenplay is due for completion later in 2016 and efforts to engage with production and investment partners will commence shortly thereafter. Very exciting opportunity to tell some of our Bermuda stories – wishing everyone success with this project. We have some great stories to tell and some very talented Bermudians to help tell them. With this F! @#ed up Government um surprised there is no Island Flames 2. If only we could find $800m somewhere we would have a budget for a blockbuster. Yeah, we all know that there are many talented Bermudians to tell the stories but you know the “Hollywood” crowd want their people in it and not a Bermudian. At least not for the leading roles. Is OBA leading to another? Stay tune tonight to find out if they ‘ll decide to do the right move for Bermudians. The right move for Bermudians is the pathways…. We look forward to the release this film and the success of these talented young people.